Two years ago I was consulting for a startup while an MBA student in Manhattan. Like many startups without an office, our small team was forced to convene in the worst possible locations. Whether that was a windowless conference room in a large hotel, a cramped table at a coworking space or a borrowed desk at my old business school building, each one seemed more uncomfortable than the last. The result? Our team simply didn’t want to be present and our productivity suffered. We weren’t inspired in the location and our ideas reflected that. When I took the initiative for my team to gather in an art gallery for a fresh perspective, I expected we would feel more in sync with our surroundings. What I didn’t expect was just how much of an impact our environment had. We were more productive, with ideas bouncing off the walls decorated with thought-provoking art. The energy between us was electric and our creativity and productivity more than returned. We got more done in that one meeting than we had for weeks prior. And for the first time we were actually looking forward to our next meeting and were hopeful it would be in a similar venue. Unfortunately, our enthusiasm was short lived. When I sought out another location in the city where we could accomplish a comparable meeting, there were limited options. Not to mention trying to work with these venues often involved relentless back and forth and ended up being costly for my team. After I realized there was no product on the market that could deliver easy access to unique short-term spaces, the idea for Peerspace was born. I moved back to my hometown, San Francisco, and started working on designing a product that could give anyone access to unique spaces. 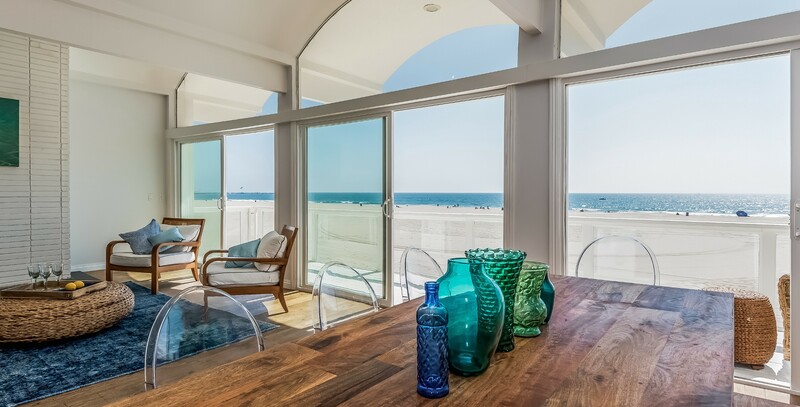 A beach-front Peerspace location perfect for an inspiring meeting or event. Click here to view this space. We launched in March 2014 and our goal was simple: provide easy access to short-term space for freelancers and independent professionals, while letting hosts make more efficient use of their underutilized spaces by opening their doors for added revenue. We succeed in achieving our initial goal. In the process, our vision expanded as we quickly realized that we were on to something bigger. We gained traction in San Francisco, with bookings coming in for not only meetings but also events and a variety of use cases from company off-sites to weddings. In February of this year we opened our Los Angeles marketplace and the breadth of activity grew to studio film and TV productions, including a prestigious launch event at the Los Angeles Memorial Coliseum. As we continued to grow, hosts excitedly began generating revenue from their previously underutilized space — which allowed them to improve their current venues with additional amenities and even acquire new spaces to be listed on the platform. Guests soon began telling us that they’ve had great experiences and will “never book a hotel conference room again.” Today marks another milestone for Peerspace: Hello NYC! It’s fitting that we would return to where I first experienced the pain point of bland and boring event space. Since our launch, we have iterated on our product until it could grow and scale to tackle the capacity of demand in NYC. As a melting pot of industries and activities that require access to many different types of spaces, there’s no better place than NYC to bring people together in one-of-a-kind Peerspace locations. We’re also excited to reveal the new look and feel of the Peerspace brand, which we were waiting to unveil until this milestone for our company. Our new logo has a multi-dimensional quality which represents a defining aspect of our vision: space matters, but what happens inside the space, and the people making it happen, matter most. Our team is fiercely ambitious, and we intend on changing the way people interact with space around the world. We want to make space discovery exciting and build tools that empower hosts to drive revenue from their spaces in creative ways. From location to size to amenities, we aim to offer the most comprehensive and flexible types of spaces, and the simplest booking process. We’re thrilled to be partnering with Foundation Capital to help make these ambitious growth goals a reality. The encouragement we’ve received from Paul Holland, Zach Noorani and the rest of the team has been amazing. In addition to their support, the capital we’ve raised will help us hire passionate, talented team members and launch in new markets. 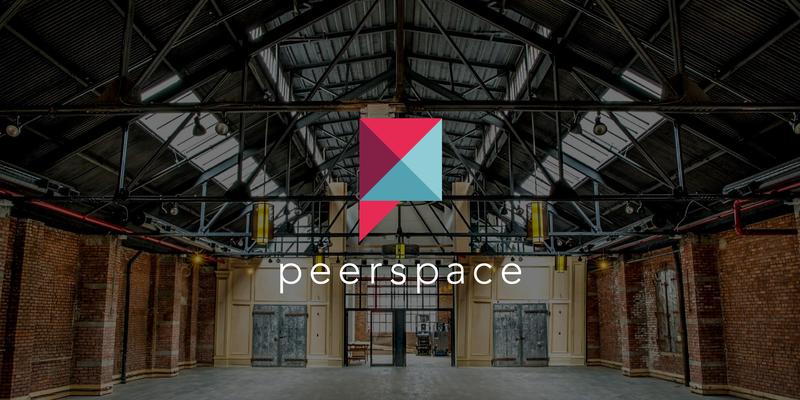 Even though we are very proud of where Peerspace is today, we are still driving towards our vision where companies and individuals everywhere will leverage the Peerspace marketplace for any activity outside of their headquarters and homes. Everyday amazing experiences are taking place in the unique spaces we’ve curated and we’re inspired to see all of the different use cases and interesting results coming from our host spaces. And that’s what gives us confidence that what we are building is a platform with huge potential, and that our best days and biggest accomplishments have yet to come. 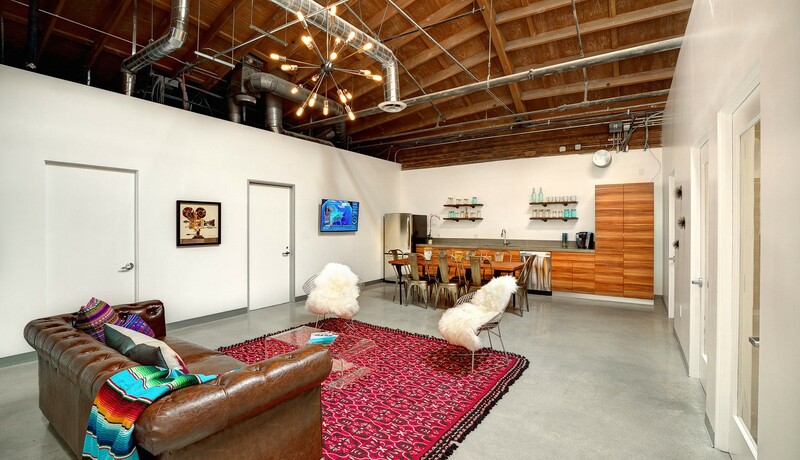 A creative Peerspace studio ready for events and productions. Click here to view this space. I encourage you to try out the product and join our community of enthusiastic users building the best space platform on the market. We are thankful for the support of our existing community and hope you will have a similar reaction to previous guests: never book a boring, traditional meeting or event space again. Take a look at our new spaces and branding and let us know what you think. Click here to view the new site.